The Lunar Nodes mark the two points in the sky where the path of the Moon crosses the path of the Sun. In astrology these are called the North and South Nodes. You may also hear them referred to as the Dragon’s Head (the North Node) and the Dragon’s Tail (the South Node). The Nodes are exactly opposite each other and move backwards taking around 18.6 years to complete a full circuit of the chart. The backward motion of the Nodes is considered a symbolic representation of how the past and the future are always connected. Every cause (the South Node) has an effect (the North Node). The Nodes tell a story of your spiritual and karmic development. The North Node represents what you are moving towards in this life time. It shows the kinds of life experiences which will help you to fulfil your potential and your karmic mission. The sign position indicates the qualities you need to develop for spiritual growth. The North Node can be challenging but in each challenge is an opportunity for progress. If the qualities of the North Node remain undeveloped, this can produce a sense of feeling unfulfilled. 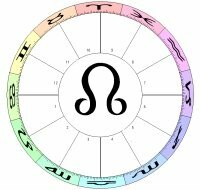 The South Node represents the karma you were born with as well as skills and talents carried over from previous life-times. It shows the things that come easily to you as well as the habits you tend to fall back on when the going gets tough. The South Node is where you act on instinct and can often be seen at work within childhood experiences. The difficulty with the South Node is that it is easy to stay stuck in your comfort zone. Much like the planets and angles in your chart, the Nodes can be activated by transits and progressions. When these points are triggered, they can indicate important periods in your life where you may find yourself pushed towards developing your North Node qualities and encouraged to examine any self-limiting beliefs and behaviours from times past. Your mission is to learn to act on your own instincts and to have the courage of your convictions. Aries is brave, confident and a self-starter. Life asks you to take the leading role. With the South Node in Libra, you have an innate desire to please others but there is a risk of relying too much on the opinions of loved ones to the detriment of yourself. Co-dependence can be an issue, The challenge is to find inner peace, rely on your own judgement and learn to enjoy your own company. Independence is key to your spiritual development. Your mission in life is to get to the facts before you make up your mind. You are challenged to learn to communicate with others effectively. Be curious about life. Gemini needs lots of stimulation to stay interested. Talk to other people, listen to their stories, go to places you haven’t been to before. With the South Node in Sagittarius, you may have a tendency to think you know it all or an all or nothing attitude. You may be afraid of connecting or of staying in one place for too long for fear that you will lose your freedom. Let yourself linger to discover a different perspective. Learning to listen to others is key to your spiritual development. Your mission in life is to allow yourself to feel. Cancer is in touch with their emotions. Building a home and family may be a challenge to you but learning to nurture both yourself and others brings inner contentment. It is necessary to learn to accept your own insecurities as well as allow others to see your vulnerable side. With the South Node in Capricorn, you may feel very attached to your responsibilities and have a strong sense of duty. Displays of emotion may be difficult for you. A tendency to define yourself through your work or career can mean you neglect your home life. Finding a way to be at home with yourself is key to your spiritual development. Your mission in life is to follow your heart. Leo is playful and spontaneous with a strong creative urge. Learn to allow yourself to play, to express yourself in your own unique way. Leo likes to take a risk regardless of what others might think. There may be a tendency to feel pulled to help others at the expense of developing your own talents. With the South Node in Aquarius, you may be very concerned with whether you fit in to the group and may fear being the focus of the attention of others. There may be a tendency to connect with people in a detached manner. It is important to learn to connect on a heart level, to experience the joy of relating. Connecting with your inner child is key to your spiritual development. Your mission is to develop a healthy, practical approach to life. Take care of the details and the rest will take care of itself. A hard-working attitude and clear goals helps to offset the Pisces South Node which is inclined to drift and dream. A sense of order provides a strong structure from which you can help others to help themselves. The South Node in Pisces shows you are gifted with a strong imagination but a tendency to be easily distracted and vague in your approach means it is difficult to bring your ideas into being. Escapist tendencies or victim mentality can block your progress. Developing your skills is key to your spiritual development. Your mission is to develop cooperation with others. This is the sign of the peace-maker, relationship counsellor and mediator. You are challenged to find a way to work with others, to allow for their wants and desires and make room for relationships in your life. With the South Node in Aries, you are used to going it alone so may find it difficult to let others in. There may be a tendency to act first and ask questions later which can upset the balance. You may be competitive in a way that alienates other people. Your instinct is to fight rather than try to find a middle path when conflicts occur. The art of compromise is key to your spiritual development. Your mission is to recognise life is constantly in a state of change. Scorpio’s intense desire for the truth, leads you on a journey of transformation. Stepping into your own power is part of the path. Your challenge is to let go of material concerns and psychological attachments in order to free yourself from a need to control. With the South Node in Taurus, material and emotional security is important to you but this comfort zone can keep you stuck in old patterns. Learning to share what you have – mind, body and soul – is key to your spiritual development. Your mission is to share what you know. Sagittarius favours freedom to roam and inspires a desire to travel in order to gain a broader perspective on life. This is the sign of the philosopher, writer and priest. You need to have an eye on the future and a willingness to act on your intuition to succeed. The challenge is to develop your expertise and to trust that you know enough. With the South Node in Gemini, there can be a tendency towards information overload which hides the big picture. Inner restlessness can distract you from committing to your purpose. Developing a strong inner faith is key to your spiritual development. Your mission is to accept the responsibilities of life in order to achieve your goals. Hard-working and mindful of duties, Capricorn is an achiever at heart. Recognise that you are strong enough to be an authority in your field. Be prepared to start from the bottom up but know that you can climb the ladder to success. Take yourself and your ambitions seriously. With the South Node in Cancer, you may feel guilty for leaving family to pursue your career. You are naturally caring but with this tenderness comes a fear of being vulnerable. Coming out of your shell and embracing your inner wisdom is key to your spiritual development. Your mission is to use your special skills for the benefit of the collective. Aquarius seeks to make connections in the wider community. Forward thinking and inventive, this sign challenges the status quo by thinking outside of the box. With the South Node in Leo, there can be a tendency to want to take centre stage. Emotional dramas can cloud your objectivity. Don’t let pre-defined roles restrict your freedom. Use your innate warmth to reach out to others. Join groups, make friends and inspire others to use their own unique gifts. Working for the benefit of all is key to your spiritual development. Your mission is to recognise your spiritual path. The last sign of the zodiac represents the unconscious, the soul and the profound connection between everyone. Pisces calls to you to develop your imagination, intuition and compassion for all. Learn to have faith and trust. There is beauty in every moment. The challenge is to learn to go with the flow rather than plan every detail. With the South Node in Virgo, there can be a tendency to get caught up in the mundane and pick over irrelevant parts of the whole. Harsh self-criticism and over-analysing blocks your ability to feel with your heart. Letting go of a need to be perfect is key to your spiritual development. Thanks for this. I like that in your approach you soften the implication of the South Node. Because of emphasis on individuation her in US, South Node is often “scare colored”, what one needs to break free from, as opposed to a structure or ground of habit you reach from. My North Node/South Node access completes a very close Grand Fixed Square (North Node is in 11th House Scorpio conjunct Neptune (and Jupiter but out of sign)/South Node in 5th House Taurus, the Planetary T-Square’s critical empty space). My experience of North Node is that “fate”/one’s own sense of interest & value simply requires that you move in that direction. There’s not a lot of choice, all the wind blows that way, but it doesn’t mean there is not value in the South Node habits. In fact, its often a now an interior or remembered sense of richness that gives me the strength to be poor. Hi David – thanks for your comment. I love your interpretation of the strength that comes from your own South Node. I see a lot of negativity about the S. Node as well but I don’t think it’s that cut and dried at all. I certainly sense the ‘pull’ of the North Node. I really appreciate your astrology readings. I hope some day to have my chart read by you. I was wondering, how do you find your nodes and where they are? Hi Milo – Ahhh, this is one of those much discussed questions amongst astrologers! Personally I use the True Node but this is after seeing which point is most sensitive to transits in my own chart. I would recommend firstly thinking about which sign you most relate to (in relation to what the nodes mean) and then seeing how transits to the nodes (particularly from Mars and Saturn) play out. That might give you a better idea of which is the right one for you to use. Oh my gosh, after studying astrology for over 40 years, I thought I knew my chart but come to find out the Nodes are reverse of what I thought, which actually makes more sense relative to my life. My True Node is in Aries, and South is in Libra. I thought because it was below the equator, Aries was my South Node! Lol, Paula! Glad it all makes sense now 🙂 You know I still have a silver Aries pendant my Grandmother bought me when I was young because everyone thought I was Aries because I was born on the cusp. It was such a surprise and a relief to find out I was Taurus, it explained a lot!